This year's Telecoms World Middle East took place in Dubai on 14 - 15 September 2015. The event gathers influential players from the telecoms industry who came together for two days discussioning the transformation that the telecoms industry is currently undergoing. 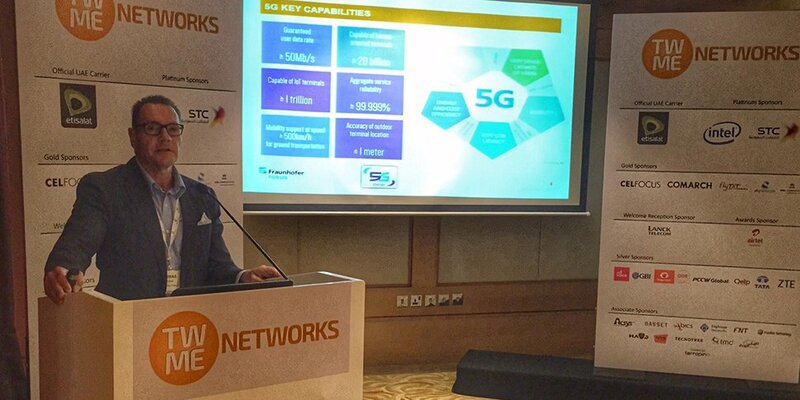 Prof. Dr. Thomas Magedanz gave a presentation titled "How will 5G change the world – towards SDN-Based MVNO Enablement?" For successfully managing change processes set off by agile mobile virtual network operators it is most important to have tools for early prototyping of SDN-based 5G networks and services. Fraunhofer FOKUS can team up here with their OpenXXX toolkits for global 5G testbed realisation. The event allowed to strengthen already existing collaboration with the Middle East Telecoms industry and gave plenty opportunity for set up new ties with players in the region.